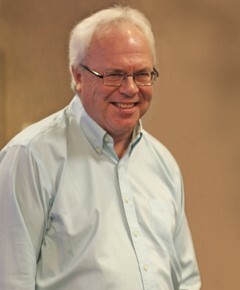 President & CEO, Minnesota Mike Boehne was named President & CEO of Finley Engineering in 2012. He has more than 35 years of experience in the telecommunications business, working in the financial and management sectors. At Finley, Boehne is responsible for managing the day-to-day operations of the departmental offices. This includes collaboration, standardizing of company policies and processes, and increased emphasis on profit and revenues. Prior to being named President and CEO, Boehne served as President & COO and Vice President of Business Development, responsible for project management, business marketing and development. Prior to joining Finley, Boehne was Vice President of engineering, technology and architecture for McLeod USA. At McLeod, he helped launch the Ovation executive team, was Vice President of the technology services group, and was responsible for all engineering, operations, and system support. A founding member of the Onvoy Telecommunications Company in Minnesota, Boehne has a technical degree in telecommunications supplemented with extensive technical management and financial training obtained through years in the industry and participation in industry events. Boehne is based in Minneapolis and has worked with numerous key clients, including Mankato Citizens, Hickory Tech and Camp Ripley.